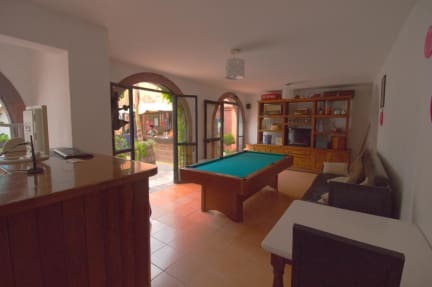 Established in a 20th century building only one block away from the main square in San Miguel, Punto 79 offers unique and affordable accommodation with welcoming outdoor common areas, comfortable beds and full coverage free WiFi. This 20th century building is located on one of downtown main streets, right in the heart of the city. 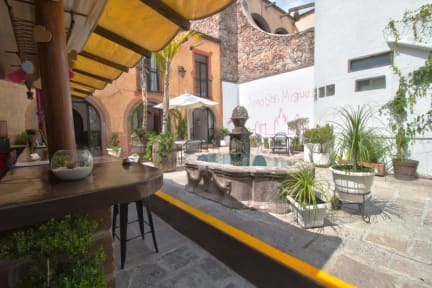 Near to our facilities you can reach some of the best attractions and landmarks of our city such as Museo de la Esquina, Galería Casa Nómada and Casa del Inquisidor, amongst other interesting places and monuments that can be discovered in our city. Our vast arrange of rooms accommodate all necessities, we have individual rooms, double bed rooms, shared dorms with or without ensuite bathrooms, private hotel rooms and family rooms. All of our rooms are different, some of them have balconies others even have a small terrace.